Peter Young took this photo on the 3rd July 1973, one of several he took of factories along the Great West Road. 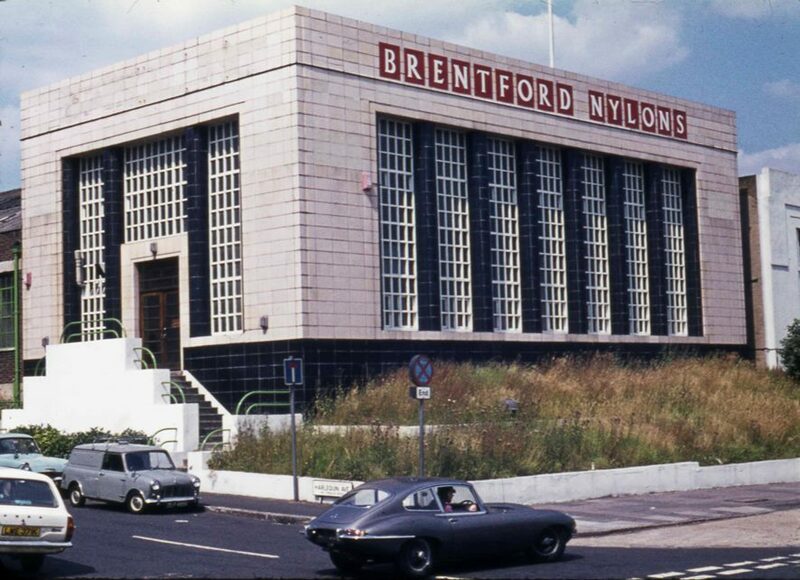 This shows Brentford Nylons apparently employed giants. The road sign is for Harlequin Avenue and the OS map published in 1961 shows this ran from the north side of the Great West Road, a little to the east of Gillette Corner. Many will remember the horrors of nylon sheets - static and easy ripping with an unguarded toe. But they were colourful and inexpensive.